The opera “HATUEY: Memory of Fire” composed by Frank London of The Klezmatics is based on a 1931 epic poem written in Yiddish by Oscar Pinis, a Ukrainian refugee who fled to Cuba and edited a Yiddish newspaper there. HATUEY: Memory of Fire is a love story set in a Havana nightclub in 1931. Oscar, a young Jewish writer who escaped the pogroms in the Ukraine to make a new home in Cuba, falls in love with Tinima, a beautiful singer and passionate revolutionary of Taino descent. As Oscar pens an epic poem about Cuba’s legendary 16th century freedom fighter, Hatuey, Tinima draws him into her fight against the corrupt Machado regime. This vibrant fusion of Afro-Cuban and Yiddish music and culture is also a powerful celebration of freedom performed in English, Yiddish, and Spanish with English supertitles. The opera is going to make its premiere in U.S. in September and will be playing in theaters from September 14 - 23. 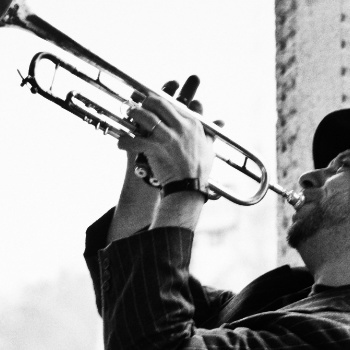 Frank London has been engaged in all sorts of projects around the Klezmer nucleus from the very beginning, with his Klezmer Brass Allstars until now. And given the facts, what we can say for sure is that his ever-prolific portfolio of activities will definitely keep on growing. Click here to see Frank London's discography on Piranha Records.